Ready to schedule your next Mercedes-Benz service appointment? It’s time to familiarize yourself with the Mercedes-Benz Service A and Service B maintenance intervals. Service A and Service B make it simple to figure out which services you need for your Mercedes-Benz and when. 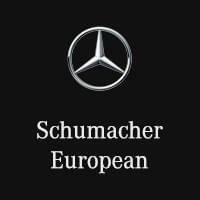 Explore the differences below before visiting the Schumacher European service department for your next appointment! Service A appointments are 10,000-mile check-ins. This is when our expertly trained technicians not only perform a comprehensive, step-by-step vehicle inspection, but also replace certain key parts with Genuine Mercedes-Benz parts. For service B, our highly-skilled technicians do what they do best. With comprehensive training under their belts, as well as the use of the latest diagnostic tools and tests, they can help ensure that your Mercedes-Benz vehicle is running at optimal performance. When your Mercedes-Benz is ready for service, contact us to schedule service at your leisure! We always have service specials on hand to make the process even easier. It’s our goal to keep your Mercedes-Benz ruling the Scottsdale and Mesa roads for as long as possible, so you can trust us to keep your luxury vehicle in top shape!